According to Roberto LoBianco of New Paltz Current, New York State's GM labeling bill (A3525) lost by just two votes in the Assembly's Consumer Affairs and Protection committee yesterday. One voting, against your right to know what you are eating and feeding your family, was a co-sponsor of the bill! Another co-sponsor was absent. It should have passed. Dennis Gabryszak and Aravella Simotas were both co-sponsors of A3525; however Gabryszak flipped and voted NO and Simotas was absent- thus bringing the bill to defeat. Call, or write and ask Mr Gabryszak why he voted against a bill that he co-sponsored. Press him to live up to his promise of co-sponsorship. gabryszak4assembly@gmail.com, 518 455-5921 Call, or write Ms Simotas. Ask her why she was not present to vote on the bill she co-sponsored. simotasa@assembly.state.ny.us, 518 455-5014. The New York Daily News reported that "a lobbyist for the Council for Biotechnology Information, which represents genetically modified food giants Monsanto and DuPont, attended the committee vote." 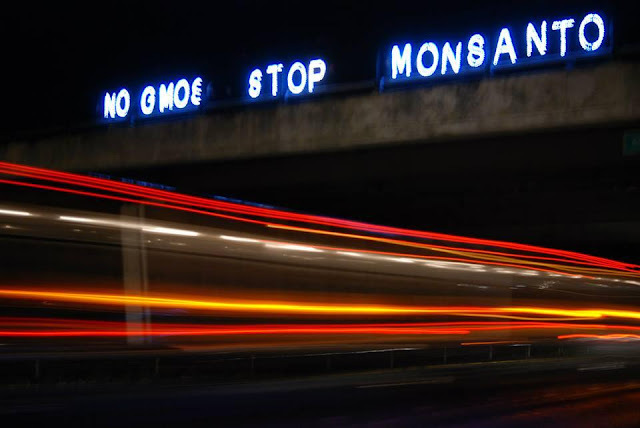 Monsanto spent $52 million on lobbyists the past decade. They are hired to fatten Monsanto's bottom line and to make sure we do not know what we are eating- because they know the science is catching up with them and if it is labeled, most will avoid GMOs, like animals in the wild do instinctively. This is the time- to once and for all demand that the health and well being of the many not be sacrificed to the ever increasing profit of the few- that our representatives listen to us and not some Monsanto lobbyist lurking in the corner. If you've never called an elected official- this is a great time to start! GMO Free NY (gmofreeny.net ) is on top of this and will be sending more action steps tomorrow- we will post them. We can't let a setback in one committee defeat us! PS I read today that "Lobbyists' gifts could shower down on lawmakers once again". A republican in NC is proposing legislation that would allow lobbyists to give freely to lawmakers and not disclose it. The federal government isn't any better. It says only gifts taken "corruptly" are illegal. It never defines "corruptly" so everyone exchanges votes for cash "legally". This is not a democracy- but a plutocracy- government of, by and for the rich. Demand change!